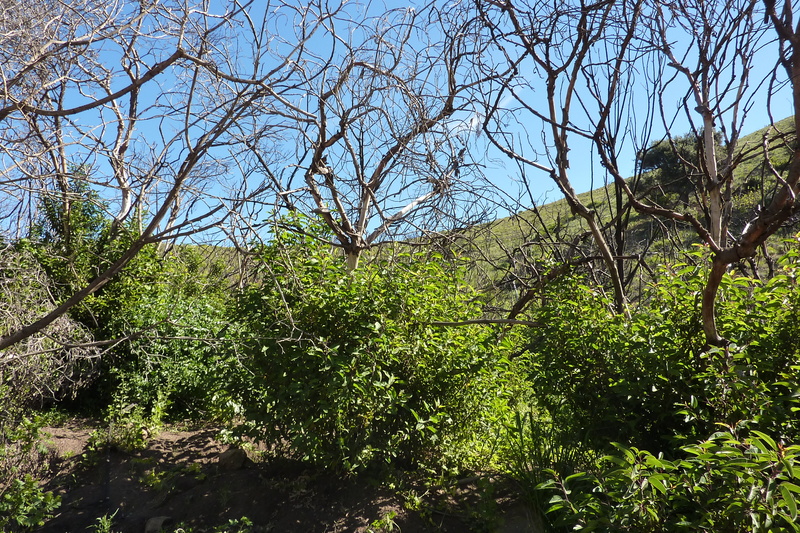 We feared blistering Santa Ana winds, but lucked out with a pleasant 75 degrees average for a morning walk in a lush re-greened Sycamore Canyon. 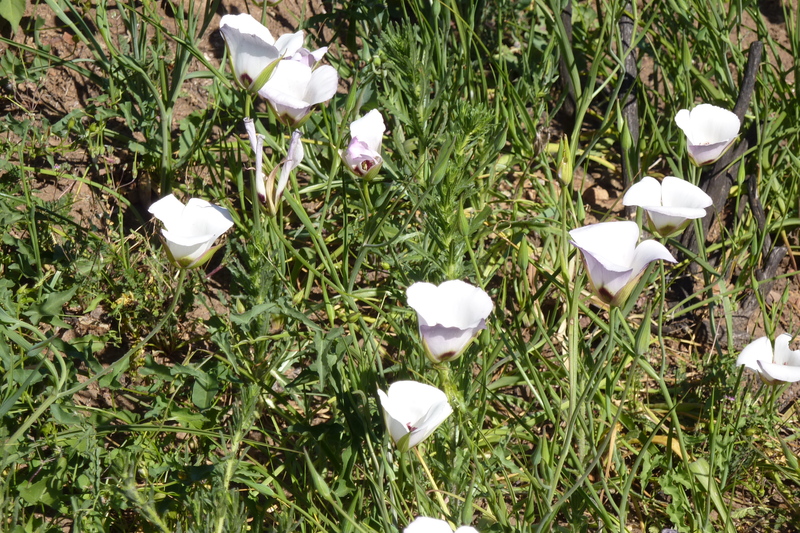 It was a little early for the full bloom of the plant life, even in an early year, however there were plenty of good views featuring full fields of Mariposa Lily (Calochortus catalinae) and Blue Dicks. (Dichelstemma capitatum) Thanks go to expert Jim Kenney for scouting the canyon for us, even though he was not available on Saturday! There were plenty of other early bloomers such Sticky monkey flower, Foothill lupine, and two species of Phacelia. On the avian front, some of the regular birds (goldfinches. wrens, orioles) were hiding, but the Nanday Parakeets and Red-tailed Hawks gave us adds to the whoopee list, we had long looks at a nesting pair of Western Bluebirds, and we totaled nearly 40 species.